Organize your desk or writing table. 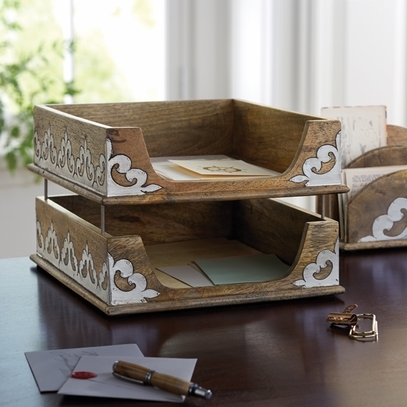 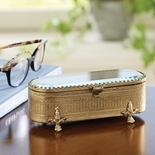 This practical essential is handcrafted in wood and trimmed with inlaid aluminum scroll-work. 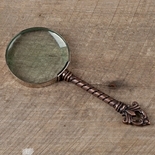 12½"w x 6¾"h x 10¼"d.
Fleur De Lis Magnifying Glass Sold out.